A Norway Built remodeled basement. Does your home not live up to the style standards you had in mind when you bought it? Do you have an old bathroom that's barely functional, a poorly laid out kitchen that's hard to work in, or an unfinished basement that you'd like to get some use out of? 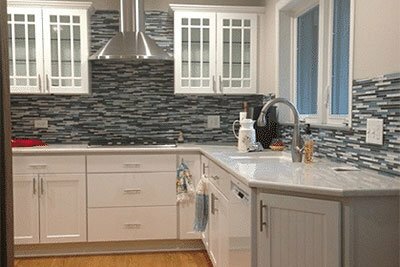 In business since 1986, Norway Built can help transform your kitchen, bathroom, or basement into your ideal space! We are a construction company in Illinois where quality and value have been delivered for over 30 years. While working on a job for you, we will provide a detailed schedule to keep you informed and involved in job progress. Designing a superior product with value in mind is vital to us, and we know you'll be satisfied with the end result. Take a look around our site to see what we can do or get some design ideas, or contact us today to schedule your free estimate! We serve customers in Downers Grove, Naperville, Plainfield and areas nearby. A remodeled kitchen with a modern style. Remodeling any space in your home is great for the present, when you and your family get to enjoy the more beautiful, user-friendly space. Finished basements especially offer boundless opportunity, because they can be turned into any room you need, from a den to an extra bedroom or even a laundry room. And you can't overestimate the positive effects of a clean, attractive kitchen or bathroom - especially when the old space was cramped or outdated. However, kitchen, basement, or bathroom remodeling is also a worthwhile investment for the future. Your house will be easier to sell when the time comes, and buyers will appreciate the hard work you've put in! Norway Built is proud to be a part of your home design process. No matter how daunting your home design dreams might seem, with the experienced team at Norway Built to guide you, we know you'll be able to easily turn those dreams into reality. We have decades of experience behind us, and we can complete your project to your exact specifications. 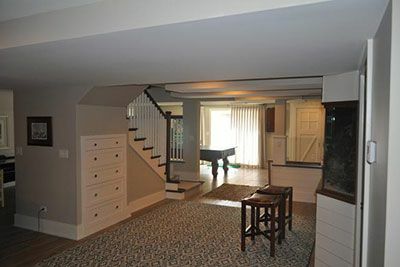 Ready to get started on basement finishing or kitchen or bathroom remodeling? Call us at 1-630-769-1280 or contact us online to schedule a free estimate! Our services are available in Naperville, Downers Grove, Plainfield, Elgin, Aurora, Bolingbrook, Schaumburg, Saint Charles, Hoffman Estates, Wheaton, and throughout the surrounding areas.